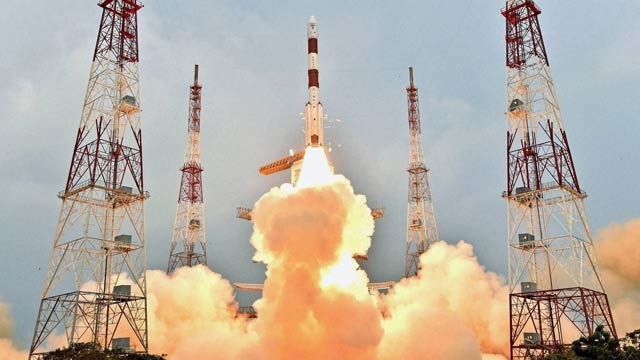 The President of India, Shri Pranab Mukherjee has congratulated the Indian Space Research Organization (ISRO) for the successful launch of PSLV-C31 carrying IRNSS-1E, India’s fifth navigation satellite. In a message to Shri A.S. Kiran Kumar, Chairman of ISRO, the President has said, “I extend my hearty congratulations to you and your entire team at the Indian Space Research Organisation (ISRO) for the successful launch of PSLV-C31 carrying IRNSS-1E, India’s fifth navigation satellite of the seven satellites constituting the India Regional Navigation Satellite System. The launch marks an important landmark in our space programme and demonstrates, yet again, India’s capabilities in space launch technology. With this launch, our nation is one step closer to an operational independent regional navigational satellite system. This will help to provide real-time data on the position of objects to aid road, air and maritime traffic apart from providing mapping and tracking services. The nation is proud of this achievement. The President of India, Shri Pranab Mukherjee has strongly condemned the terrorist attack on Bacha Khan University at Charasada, Pakistan today (January 20, 2016). The President has said "I am deeply saddened to learn of the barbaric terrorist attack on Bacha Khan University at Charasada, Pakistan today. The attack is all the more condemnable as the terrorists chose for this heinous crime the death anniversary of the great Badshah Khan, who worked tirelessly for peace. The strongly condemnable attack once again shows that no difference can be made between 'good' and bad terrorists and all forms of terrorism and all manner of support to them need to be completely eradicated. I convey our heartfelt condolences to the bereaved families, and pray for the speedy recovery of the injured."